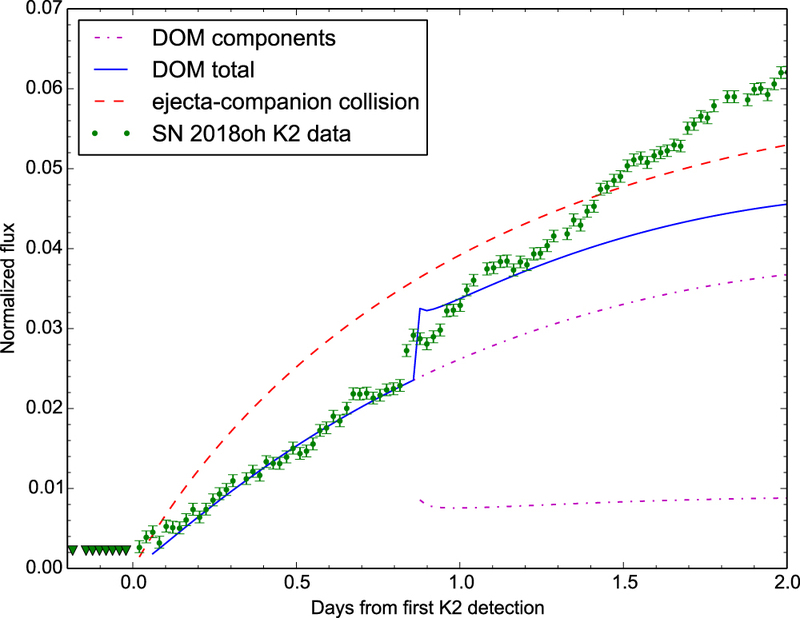 Fitting the light curve with a two-component DOM model. Plot markings as in Figure 2, with fluxes of each separate component in dotted–dashed magenta. 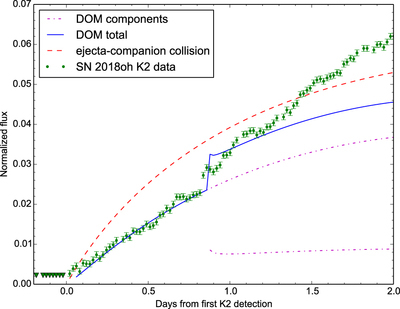 The first DOM component (upper magenta line) has a velocity of 5000 km s−1 and matches the earliest part of the light curve. The second DOM component (lower magenta line) has a velocity of 10,000 km s−1 and the ejecta shocks it later than the first component, adding less flux at a later time compared to the first component.